The Scènes nationales are putting on movies! 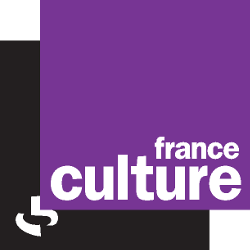 The seventh art and audiovisual projects are part of Scènes nationales life. – 20 Scènes nationales represent 28 movie theatres all together, to which we can add the 12 screening rooms of l’Estive travelling route in Foix, 11 rooms from the network of Ciné Parvis 65 of the Scène nationale le Parvis in Tarbes. Multidisciplinary and transversal projects, make performing arts and visual arts meet, and are ease by this proximity. 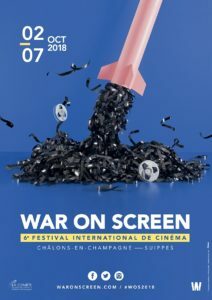 A unique festival, dedicated entirely to the representation of yesterday, today and tomorrow’s conflicts, real or imaginary, with fiction, documentaries, animations or reportages, War on Screen at the Comète, Scène nationale of Châlons-en-Champagne, embrasses all genres, from comedy, to spy movies, from science fiction to historical narration but also social dramas. In only 5 editions, the festival is now an international unavoidable and original event for its diversity and its approch and work towards different audiences, like youth. Boutures d’un sacre is a project realised on the initiative of dancers from the association 48 – Dominique Brun. Around the residency of the company at les 2 Scènes, students from two classes of Champagne School in Besançon, were able to experiment Nijinski dance. They improved step by step, one week per month from january to may 2018, to understand, feel and finaly dance the Rite of Spring. The Theatre was open that night to put them on real professional circumstances. To be able to prove this adventure, les 2 Scènes, Scène national of Besançon asked Delphine Ziegler, videast, to follow and film the entire project and produce two movies : A long version of 30 minutes, which can be used in training artistic cultural and educational networks. And a short one of 10 minutes for web promotion. A viewing of the film was organized for students and teachers from the Champagne school on october 11th. A week long event at the LUX, Scène nationale of Valence to highlight cinema history through a selection of rare films, concert-movies, masterclasses and events. Viva Patrimoine invites the public to share his cinema passion and discover restored copies in fantastic circumstances. For this 6th eiditon in january 2019, two movie directors are in the spotlight : King Vidor, first american movie director and Youssef Chahine, filmmaker of tolerance between eastern and western cultures.